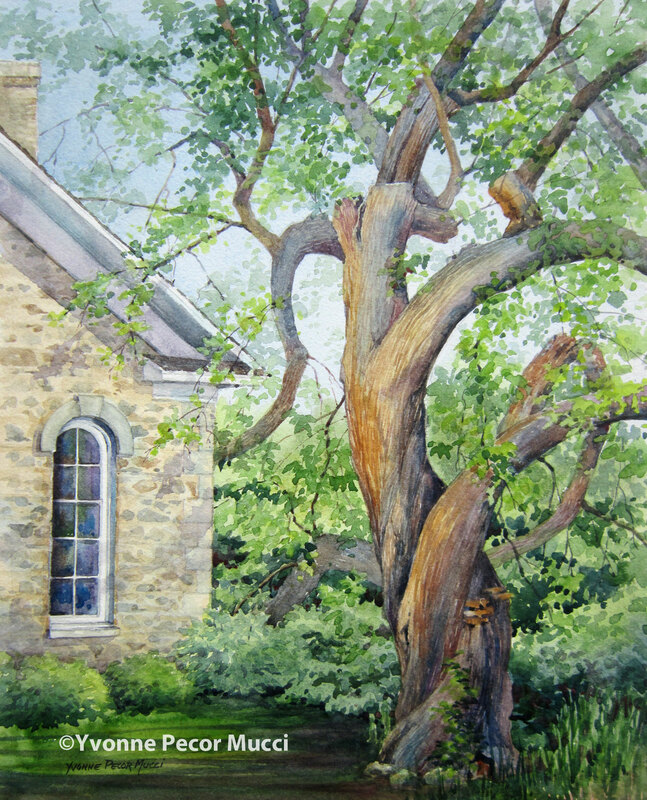 “Twisted at Turn Halle” was painted for the Plein Air Cedarburg event in Wisconsin. This 1867 fieldstone building sits in the Hamilton Historic District. The twisted tree made for an interesting subject, constantly turning in every direction. 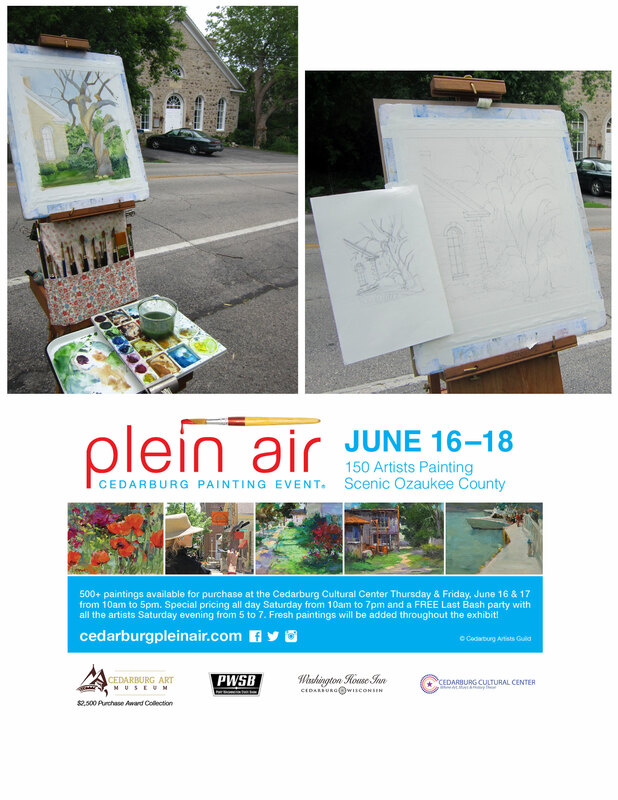 The weather was perfect which resulted in some really strong painting from 150 artists. Thank you to my hosts, whom I treasured time spent. Love everything about this event except that it was a week earlier. Have to say that I missed being able to stroll the town during Strawberry Fest. Hopefully next year! Thanks, it truly is a great place to paint! I guess they do kind of look like racoons! They were just some odd growth in the tree, but I like your description better!